The Southampton Corporation Tramways were in operation from 1879 to 1949. They were initially horse-drawn, but latterly powered by electricity. Closed 1949. 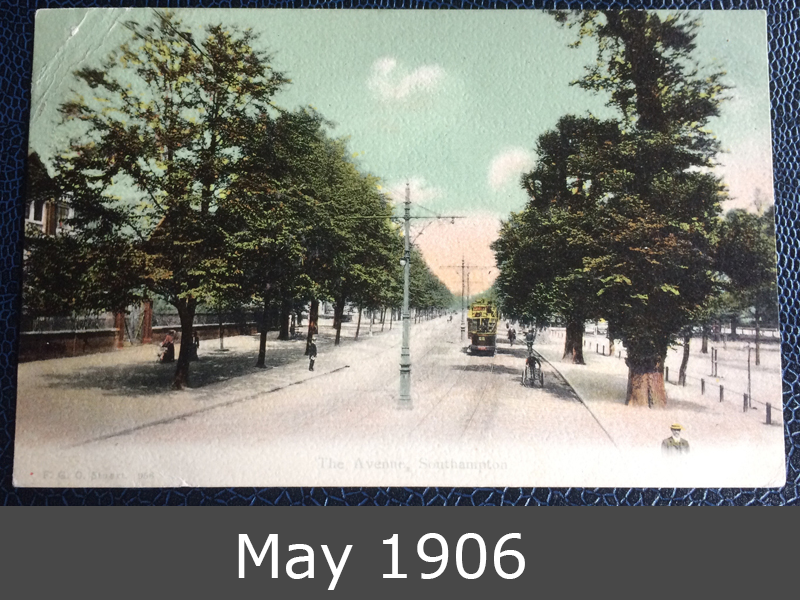 On the postcard you can see the Avenue in Southampton, year 1906. 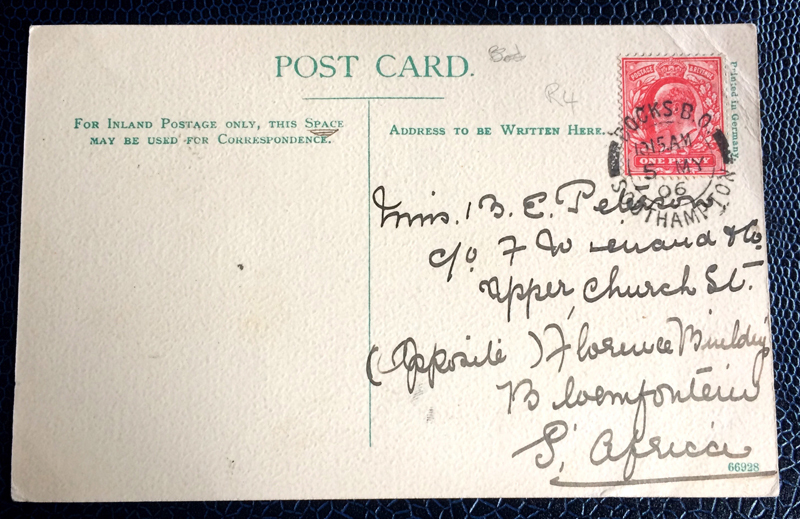 This postcard goes to South Africa!